The 2019 Annual Lord Mayor’s Gresham Lecture will explore the so called ‘digital skills crisis’ and question whether this may present an opportunity? As the digital era unfolds and the future demands for talent become evident, what are the implications for our system of education? Could the future provide for a more balanced approach to skills-based learning and the chance to at last draw on all of our talent? In short, we’ve seen new initiatives, but are more needed for the UK to position itself as a digitally creative and competitive nation, home to digitally enabled citizens? 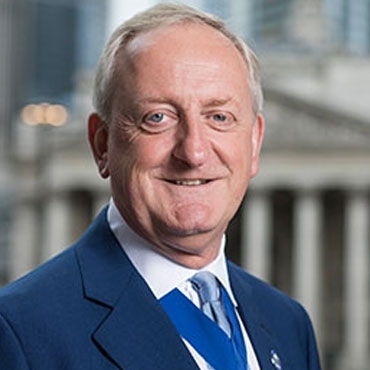 Peter Estlin was elected as the 691st Lord Mayor of the City of London on the 1st of October 2018. He was elected an Alderman of the City of London in 2013 and was elected Sheriff for the City of London for the year 2016/17. His civic responsibilities include being a member of the City’s Education Board and Policy Committee.